“Wow! Bushwick is becoming a mecca for spiritual wisdom,” I thought to myself. Only a couple of weeks ago I interviewed inner wisdom coach Darcy Skye Holoweski, and now I was invited to Bushwick Pilates and Manifestation Den of Emily Tepper who was talking exactly my language. 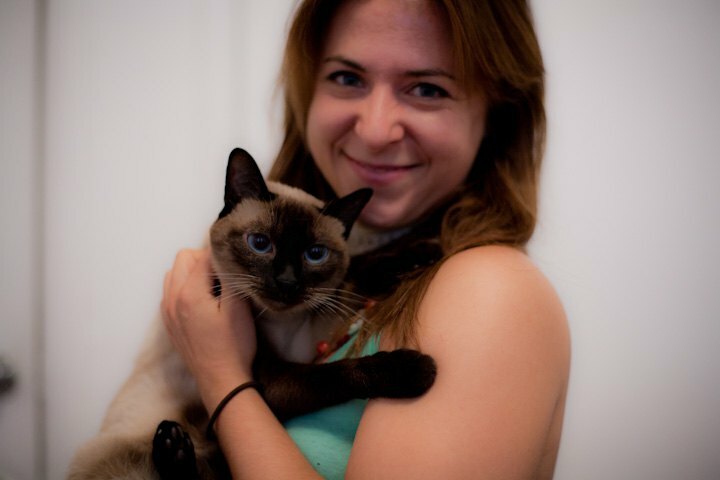 Emily Tepper is a petite energetic woman with an interesting career path. From professional dancing, through a masters program in behavioral design, and years of teaching pilates, she has recently decided to open her own studio, here in Bushwick. Emily is set to serve her community through pilates, craniosacral massage and experience design. Let’s look at how these three parts of her practice relate to each other and why is having Emily in Bushwick so excellent. “What makes pilates a spiritual experience?” you are probably asking right now. “Well, pilates allows for the perfect control over your body,” says Emily who has been teaching pilates for over 15 years. “You’re like a sculptor of your own body,” she smiles. Emily promises that you can have the body you have always wanted. Yes, exactly that body. Emily teaches pilates one on one, using pilates machine and different tools to perform exactly that one specific, subtle move that she wants you to perform. 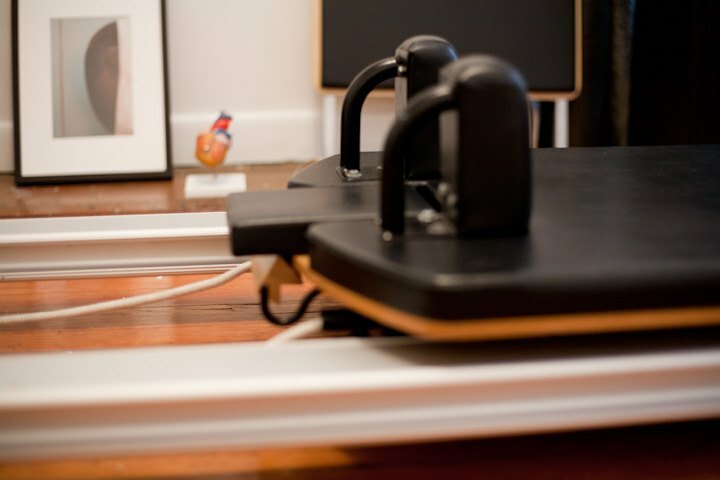 Even if you don’t have any experience with pilates, Emily will make sure you are doing it exactly right. While exercising, you will be perfectly concentrated on a particular muscular activity, and you will be very present in your own body – this is in fact synonymous to mediation. So while you are working on your body, your mind is working as well. I personally found it interesting that, thanks to pilates, Emily discovered some imbalances in my muscles and bones, which I acquired due to bad habits when running. It is totally empowering to be able to listen to what your body has to say because, trust me, it talks to you. We just forget how to listen. Craniosacral massage was a very mysterious part of my experience with Emily, and I had virtually no idea what to expect. Well, let me tell you that craniosacral massage works with energy and can be pretty intense. Belonging to alternative methods of medicine, Emily will place her hands on different parts of your body and will pay particular attention to your neck and head. Craniosacral therapy relieves stress, neck and back pain. Through the focused treatment Emily was able to name a couple of my emotional issues, quite precisely. 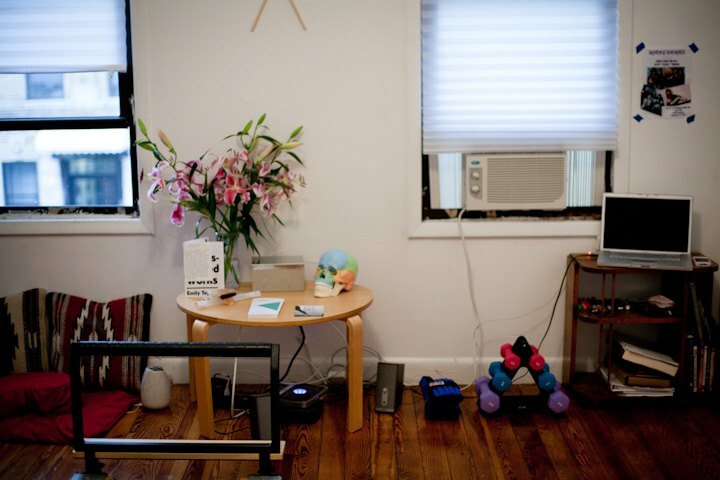 I find the ritual design to be the most interesting part of Emily Tepper’s practice. In fact, I am completely fascinated by it. Emily says that a ritual serves as a ribbon cutting ceremony for turning a new page in your life. A ritual can break a negative habit and move you out of negative repeating loops in your life. A ritual can help you solve a problem. “My clients have experienced profound changes in their lives following their ritual,” said Emily. She will even give you your money back if the things don’t change for you within three months. So how does that work? Emily will discuss a problem or an issue that you’re currently facing in your life; it will typically be something that you don’t feel is going in compliance with how you imagined it. Emily is very good in articulating the problems, and soon you will see a very clear analysis of what’s going on with you. I found this phase particularly nice because the problem that previously seemed too huge to handle suddenly became something manageable. Most importantly, Emily will make it clear to you that you’re not the only person in the world dealing with a particular matter. It feels good to see that us humans are so similar. As for my own ritual, it related to fear and letting go of my past that was holding me back. I felt a little hesitant and even silly when the day of the ritual arrived, but Emily was on the phone encouraging me to go with it. I did, and I must say the euphoria that followed was priceless. Has anything changed in my life? Yes, it has! Have I lost my fear forever? I hope so. In any case, a ritual will empower you to face and get rid of your problems - and Emily Tepper will be there for you.